Thanks for the welcome, I'm thrilled to be here. Ed - you'll also need a 120 degree dimple die for the CS4-4 rivets (flush pull rivets) and another set for size 6 screws. They might not be in the list of tools to get. If it makes you feel any better, my first crate (tail) was damaged.. About $400 worth of replacement parts. Luckily I still had enough good parts to keep me busy for awhile. The carrier was Old Dominion.. the wing and fuse kits came later by the same carrier and were OK. Its just what happens when an underpaid new dock worker runs his forklift into the side of the crate. Van's was really responsive and provided all the papers I needed to submit a claim. Unfortunately, the "crating charge" cost of $75? or so was NOT covered by the carrier. So I did have to pay a little out of pocket. I guess I'm not alone in the damaged shipment department. When the driver delivered the crate he asked me if I had anything he could use to help drag the crate out to the lift on the back of the truck. He said that whoever loaded the crate must have pushed it in with a fork lift because the crate was in the truck the long way. There was a stencil warning spray painted on the side of the crate saying "no push" and I mentioned it to the driver but he said nothing. At that point there wasn't much I could do as the crate showed no sign of damage at all. It wasn't until I unloaded the crate that I saw there was damage to the skins inside. 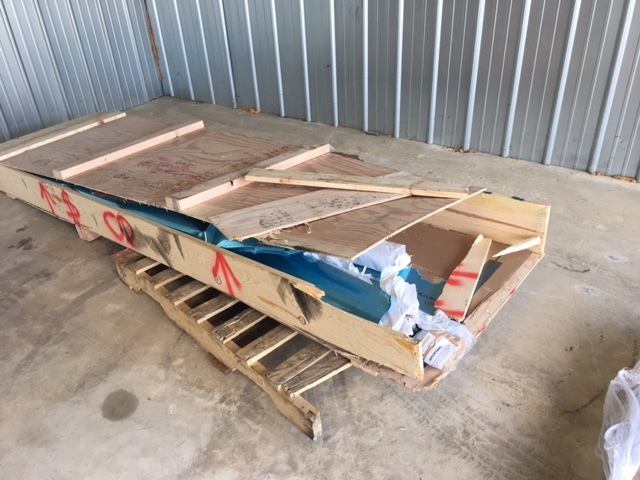 When I finished unpacking the crate and stood it up on it's side to move it out of the way is when I saw the reason for the damage to the skins inside, but by that time the driver was long gone. The fork from the fork lift had found the seem between the side panel and the bottom plywood. It was one of those things that makes you shake your head in disbelief. The fork slide right into the crate without damaging it, and when the fork lift drive backed away the fork just slid back out leaving no trace of external damage. Lesson learned... before signing for the shipment make a note "Subject to inspection". On page 6-04 step 3 it says to machine countersink the four #40 holes in VS-1212-B-R & -L. However, the countersink cage diameter is too big to allow it to reach the 2 holes closest to the flange. Obviously there must be a way to do it or it woudn't be on the plans. Are the 2 holes closest to the flange supposed to be countersunk using a different tool? Sorry if it's a dumb question but I've never build an airplane before. Harber freight has a great and inexpensive puller and battey drills, two pullers one fir each size rivet and 2or3 drills so when batteries run down no waiting. In some cases I found it necessary to simply use a hole deburring tool and slowly countersink the hole, periodically checking with a river to determine when I had gone deep enough. 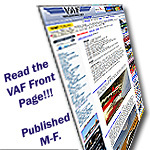 "On page 6-04 step 3 it says to machine countersink the four #40 holes in VS-1212-B-R & -L. However, the countersink cage diameter is too big to allow it to reach the 2 holes closest to the flange. Obviously there must be a way to do it or it woudn't be on the plans. Are the 2 holes closest to the flange supposed to be countersunk using a different tool?" Here are a couple of ways to do the above: 1) Get a second countersink and cut away @ 1/2 of the cage foot. 2) Get a straight screw-on extension and attach just the countersink cutter to the end. 3) As noted above by Bob, make the countersink by carefully using your deburring tool -- assuming that it has the standard cutter-type CS head.